The Ilya Kovalchuk returning to the NHL rumor is once again upon us. the Devils were rumored to be bringing back the former 50-goal scorer. Earlier this season, rumors suggest Kovalchuk was considering an NHL return were also floated out there. So is Kovalchuk ever going to return? 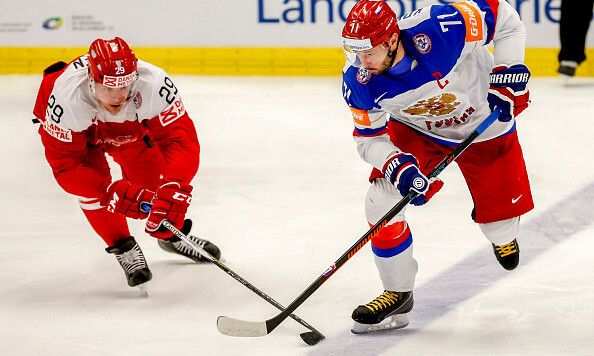 He didn’t exactly squash the notion when discussing the subject with Russian scoopster Aivis Kalnins, Kovalchuk said a return to the league was “possible,” if it benefited his career. It’s a vague statement, but another indication Kovalchuk might not be done with the NHL. The 33-year-old officially retired from the league back in 2013, suiting up with St. Petersburgh SKA over the past four seasons. In 2016-17, he’s having an impressive year with 16 goals, 20 assists, and 36 points in 28 games. For him to return to the league, it would have to be a lucrative arrangement. Then, there’s the question of his rights, whether he’d have to clear waivers and so on and so on. But, if Alex Radulov taught us anything – even the most unlikely KHL-to-NHL returns are possible. Obviously, the report doesn’t mean much but it adds fuel to the idea Kovalchuk will suit up in North America one more time.